One of our favorite places to hike is at the Jewel of the Creek Preserve in Cave Creek, AZ. This is a riparian area and has running water all year long. In the desert this is a commodity which is likely to attract many of its inhabitants including birds, lizards, snakes, etc. The trails have some ups and downs, but overall the hiking is moderate at its most strenuous for those who do any amount of hiking. 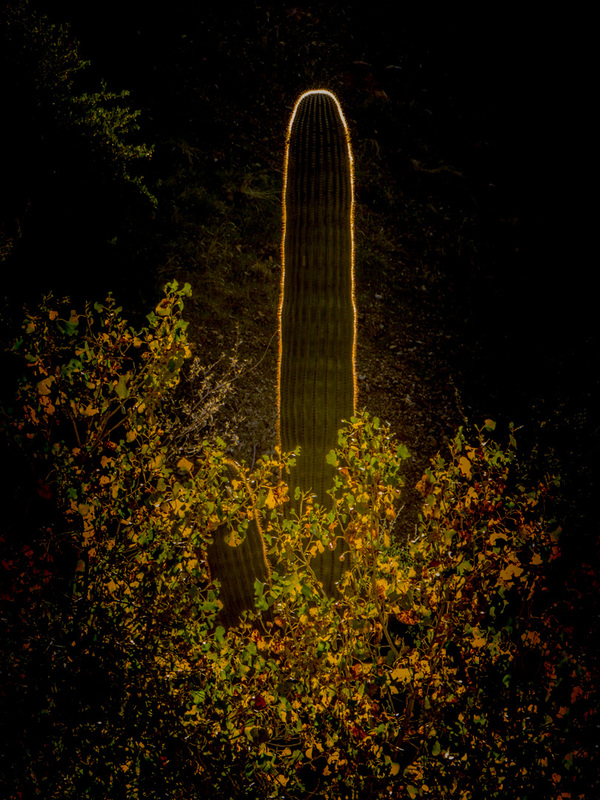 While on a hike, we were descending into a lower area and the sun was backlighting the edges of this saguaro. The light playing off of the surrounding foliage along with the halo over the main cactus caught my eye. Technically, this is not the best picture. The only camera I had with me was my bridge camera which does not do too well at an ISO higher than 100 especially in this type of lighting situation. Having said that, however, there is something about this photograph that that I find artistically satisfying. 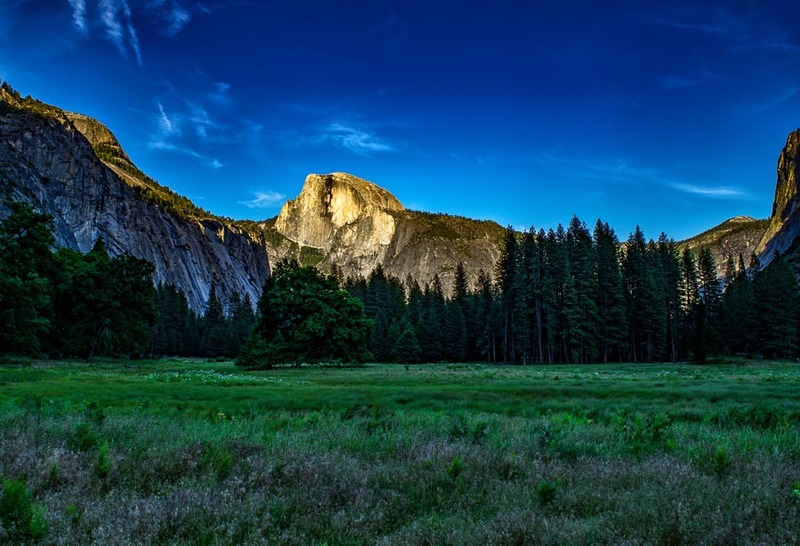 The last several posts were focused around Lembert Dome, but today’s post is of Yosemite’s most famous feature, Half Dome. We were fortunate to be in residence within walking distance of this field and I was drawn to it on a number of occasions. 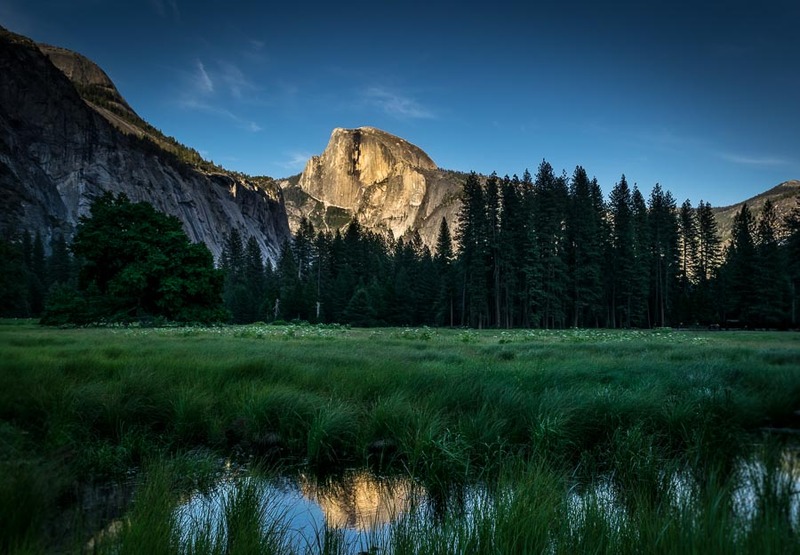 Recent rains left a bevy of puddles in the low lying areas, to the delight of photographers seeking to capture reflections of the iconic rock as it loomed over the meadow. It is hard to get tired of this view! While Half Dome is always impressive as it rises up from a multitude of vantage points at Yosemite, during the sunrise and sunset hours it takes on a special majesty. I particularly like this photograph with the contrasting dark colors of green and some purple highlights among the wildflowers in the foreground. This field was only a short walk from our lodging and it was difficult to get enough of this view! 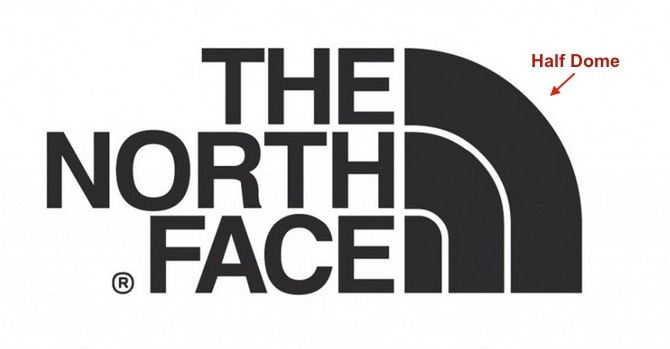 Fact: Did you know that the North Face outdoor company uses a stylized version of Half Dome as their Logo?